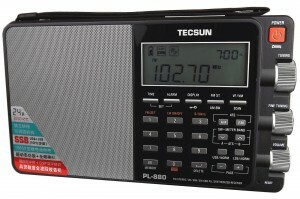 The Tecsun Pl-880 is the latest offering by the prominent shortwave radio manufacturer, Tecsun. The Pl-880 is a dual-conversion receiver sporting SSB reception with fine 10 Hz steps. It appears to have adjustable bandwidth, and a dedicated fine tune control. Slated to ship in late November 2013, the PL-880 will be the flagship portable radio in the Tecsun product line. Keep checking back as we will update this page as we receive new information. Note that we will post a full review of the PL-880 on the SWLing Post as soon as it is available. SWLing Post comprehensive review with audio samples. Also read through these posts to discover hidden functions of the PL-880. Check out our Mega Review which includes the PL-880. Check Amazon.com for Tecsun PL-880 pricing. 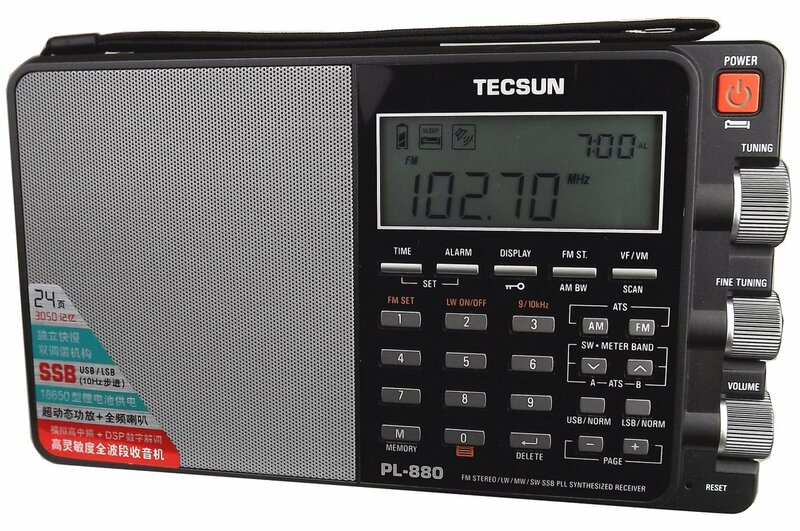 Click here to search eBay for the Tecsun PL-880. This entry was posted in Portable, Portables, Tecsun and tagged PL-880, Portables, Shortwave Portables, Tecsun, Tecsun PL-880, Tecsun PL-880 Specifications. Bookmark the permalink.